Booth #5095 - In the Factory Harmony exhibit, OMRON pick and place automation demonstrates the potential for machines to manage fine detail work with speed and accuracy. Omron Automation is an industrial automation partner that creates, sells and services fully integrated automation solutions that include robotics, sensing, motion, logic, safety, and more. Established in 1933 and currently headed by President Yoshihito Yamada, Omron’s 36,000 employees help businesses solve problems with creativity in more than 110 countries. Learn more at omron247.com. Your company will be exhibiting at ATX & Design & Manufacturing West, what is it that makes this an important event for your company? OMRON will demonstrate its Sensing & Control + Think technology through the Factory Harmony exhibit at the OMRON booth (#5095) at ATX in Anaheim, CA, from February 5 -7. OMRON Sensing & Control + Think technology is the centerpiece of OMRON products: it learns from interaction, improves its own performance and worker performance, boosts speed and efficiency and increases safety in the workplace. It is the technology that enables OMRON to further its mission of building the society of the near-future, solving social problems and creating jobs. 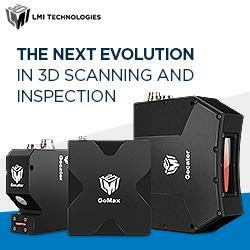 At ATX West, our exhibit will provide an exciting opportunity for businesses to see exactly how the OMRON factory floor improves traceability to increase quality control, allows for a high degree of flexibility in manufacturing lines to speed up product cycles and creates harmony between humans and machines. OMRON factory automation is leading the industry and providing businesses with solutions to reduce down time, increase productivity, improve safety and to build the factory floor of the future. Highlight a 2 or 3 products you will be showcasing at the event? In the Factory Harmony exhibit, OMRON pick and place automation demonstrates the potential for machines to manage fine detail work with speed and accuracy. Meanwhile, OMRON mobile robots create flexibility in the manufacturing line, demonstrating the ability to meet growing demands for product transfer customization without reconfiguring an entire equipment line. 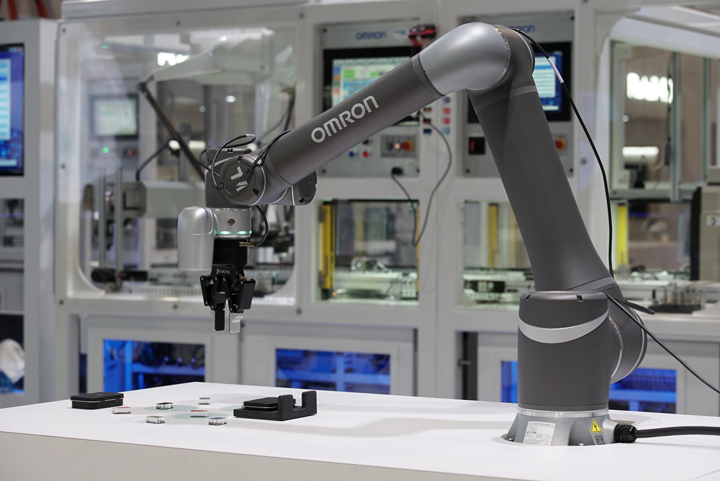 OMRON collaborative robots, which made their US debut in Factory Harmony at CES, serve manufacturers seeking to boost production and reduce employee fatigue by automating repetitive tasks such as machine tending, loading and unloading, assembly, screw driving, gluing, testing or soldering. OMRON collaborative robots can easily be trained to perform almost any repetitive task in any location thanks to a manual teaching function that allows operators to teach the robot with hand-guidance without the need for software. Both OMRON mobile robots and collaborative robots work safely side-by-side with humans, adapting to worker needs and environmental conditions for a safer workplace. The factory floor is undertaking rapid advancements, be it automation, robotics, machine vision or data. The Automation Technology is a huge part for many manufacturers, give us an idea on how your company and product is being utilized now in the smart factory. OMRON customers benefit from improved traceability, as the company creates and implements leading technology to track and document the history, usage and location of parts, sub-assemblies, raw materials and finished products, which is critical for flexible production lines and global platforms. OMRON traceability solutions enable businesses to protect their brand, regulate compliance, increase quality control and boost process improvements. OMRON also provides manufacturers with greater flexibility. OMRON safety-rated mobile robots help meet the need for mass customization and increase productivity by freeing up human employees to focus on more complex jobs. OMRON mobile robots include proprietary software and controls enabling a fleet of up to 100 robots to intelligently and safely navigate around people and unplanned obstacles in a facility without the need for expensive pre-installed routes. OMRON has an unmatched combination of expertise, products and services that enable businesses to find the best solutions to safeguard people. In order to create and maintain the OMRON vision of harmony between humans and machines, safety must remain a high priority. Give us your thoughts on what the future holds for manufacturers and automation technology. OMRON innovative automation technologies demonstrate the “three I’s” that represent the future of manufacturing – integrated, intelligent and interactive. OMRON technologies increase throughput, maximize flexibility, reduce machine dwell time, eliminate errors and improve traceability. 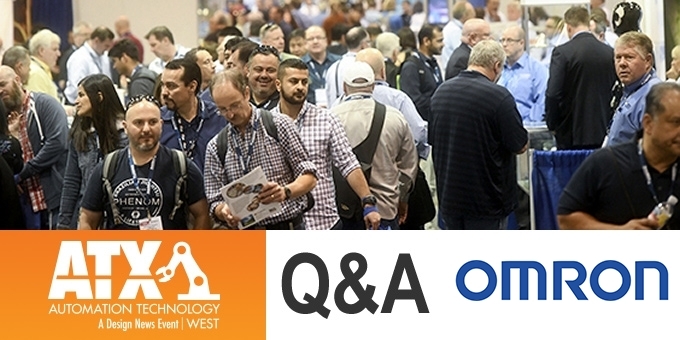 Our ATX West exhibit demonstrates Omron’s vision of how humans and machines can work together to meet the demands of modern manufacturing, including flexibility and customization, traceability of products and a higher standard of worker safety. Our vision of Factory Harmony is a higher level of collaboration to produce ongoing improvements in productivity, efficiency, product quality and a more rewarding worker experience. Omron is an industrial automation partner that creates, sells and services fully integrated automation solutions that include robotics, sensing, motion, logic, safety, and more for manufacturers in the automotive, semiconductor, food and beverage packaging and other industries. Established in 1933, Omron helps businesses solve problems with creativity worldwide, with more than 37,000 employees serving over 110 countries. Adept Technologies is now a valued part of the Omron family. Booth #134845 - OMRONs flexible manufacturing demo will present several solutions designed to help companies meet the customization demands imposed by todays increasingly globalized and eCommerce-driven market. As the automation industry begins its reach into the cloud, manufacturing communities will not only improve productivity, they will begin to reclaim the prominence the industry once claimed in the economy.